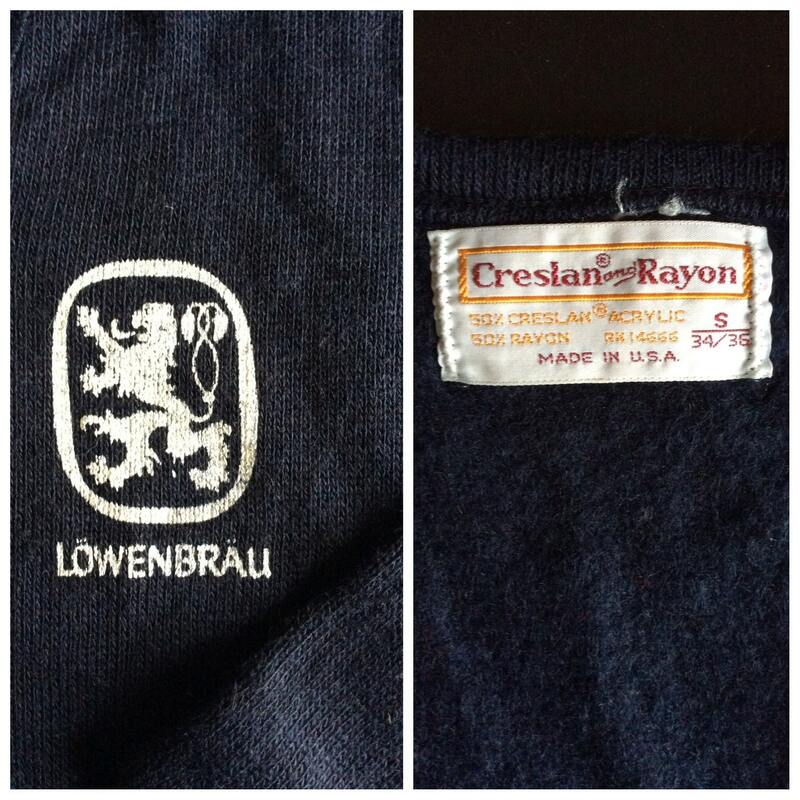 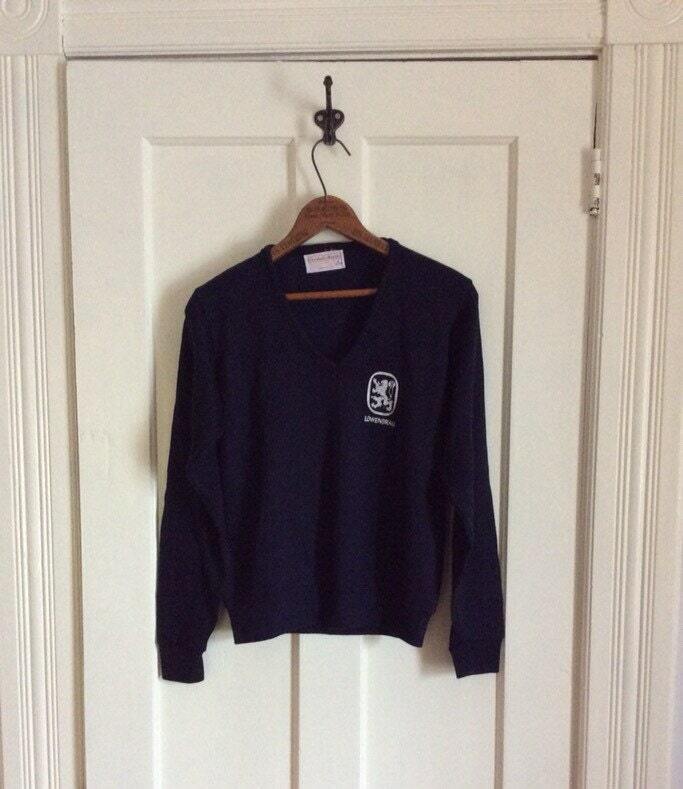 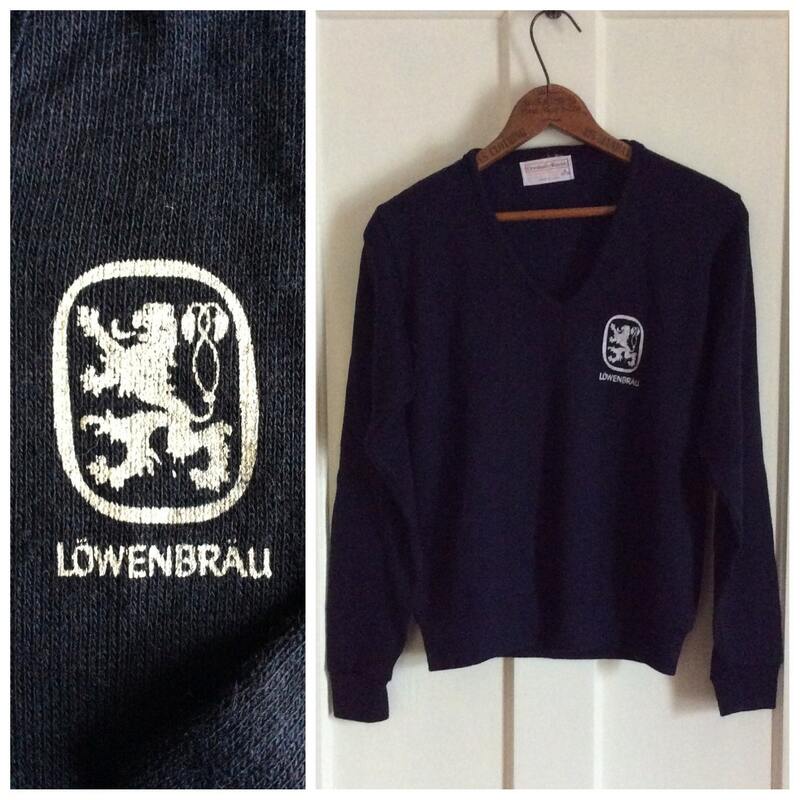 Here is a v-neck sweater Lowenbrau sweater from the 1970's. 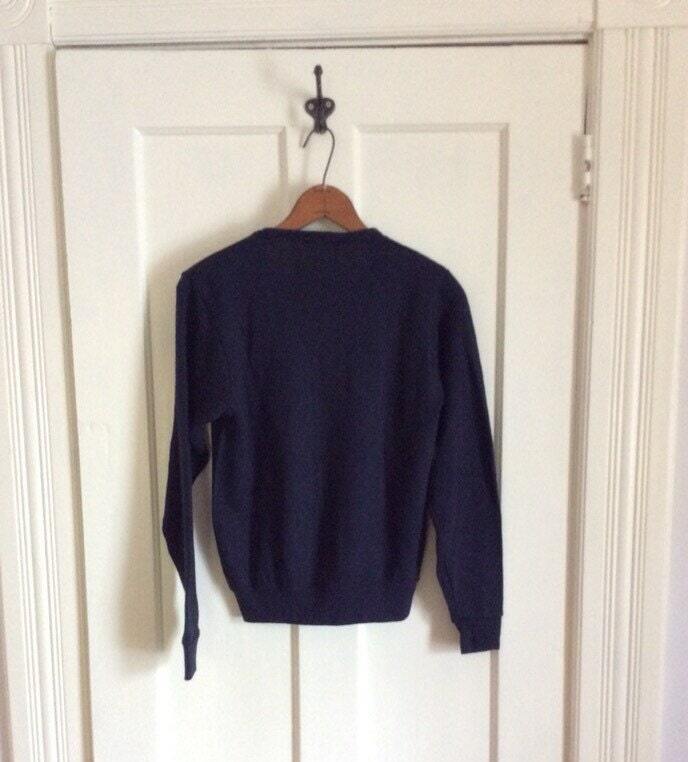 It's soft and in excellent, used condition, no damage. 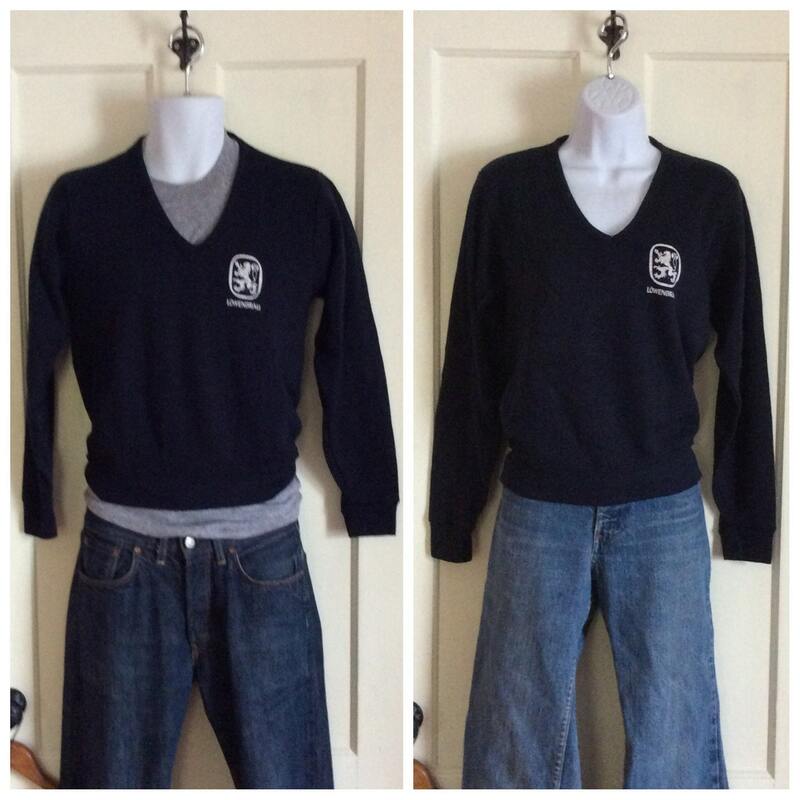 30 " Sleeve length, measured from the center of the back of the neck to the shoulder, then down to the end of the sleeve cuff.